When you or a loved one requires surgery or hospitalization, sometimes recovery takes time. Regardless of which hospital you were admitted to, you can choose the rehabilitation facility that best fits the needs of you and your family. Consider the reputation of the facility and the proximity to your family and friends. 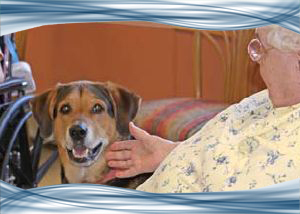 At Presque Isle Rehab and Nursing Center, comfort and excellent care are our top priorities. 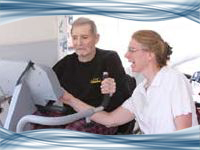 Why Choose Presque Isle Rehab and Nursing? The Federal Center for Medicare and Medicaid Services (CMS) has consistently rated our facility with four or five stars (five stars is the best rating). US News and World Report has listed our facility among the “Best Nursing Homes”. Quality Improvement Certified – Presque Isle Rehab and Nursing Center participates in the Quality Improvement Certification program of the Maine Health Care Association. Quality of Care – Presque Isle Rehab and Nursing Center has consistently scored higher than Maine and national averages in quality of care ratings in annual satisfaction surveys. Recommend to Others – Presque Isle Rehab and Nursing Center has consistently scored higher than Maine and national averages in ‘Recommendation to Others’ in annual satisfaction surveys. Staffing - Staffing at Presque Isle Rehab and Nursing Center exceeds the state and national averages by greater than one hour of care per patient per day. End of Life Care - Presque Isle Rehab and Nursing Center has a contract with Visiting Nurses of Aroostook for Medicare Certified Hospice Services. Presque Isle Rehab and Nursing Center also provides special private room services for dying residents and close family members. Veterans’ Services - Presque Isle Rehab and Nursing Center has a contract with the Department of Veterans Affairs at the Togus VA Medical Center. Services are provided for veterans who qualify for federal veterans’ benefits. Attention to Safety and Security – Presque Isle Rehab and Nursing Center utilizes security cameras throughout common areas and is electronically linked to the police and fire stations. These assist staff in maintaining the safety and security of your loved one at all times. During non-visiting hours, the facility maintains a lock down status. Proximity to Emergency Medical Care - If more extensive services are required, emergency care is only minutes away at The Aroostook Medical Center.